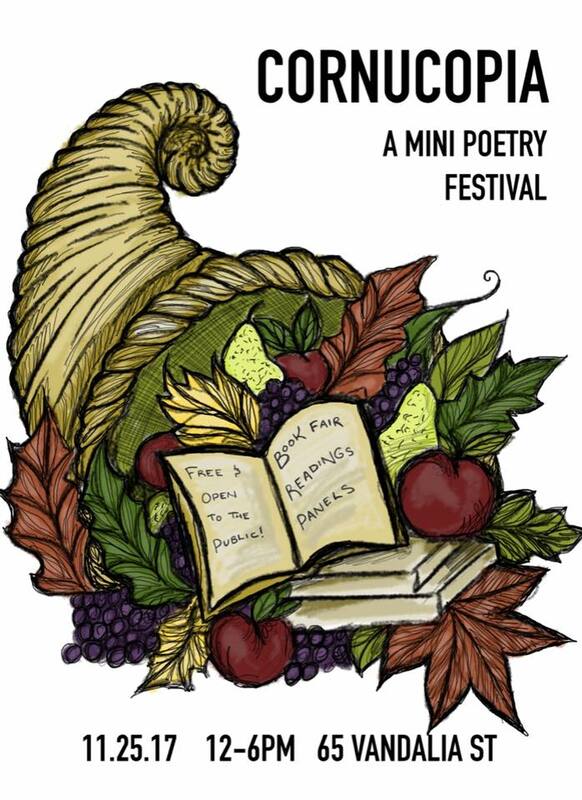 A free, one day poetry extravaganza featuring two panel discussions, two readings, and a book fair including multiple small presses from Buffalo, NY and the surrounding areas. Panelists (Noah Falck, Julio Montalvo Valentin, Max Crinnin, Eve Williams, & Justin Karcher) will discuss their experiences as writers, editors, and publishers giving an inside look at the publication process. Suggested for writers who want to publish their work in print or online. Panelists (Marquis “Ten Thousand” Burton, Megan Kemple, Skyler Jaye Rutkowski, & Vonetta T. Rhodes) will discuss what drew them to the medium of spoken word, or to compete in Poetry Slam, what keeps them continuing in the medium, and how they’ve become consistent members in their community. Panelists will also discuss traveling to perform as a poet, participating in regional and national competitions including the National Poetry Slam, and answer questions from the audience. Suggested for those interested in performing spoken word or competing in a poetry slam. Our first reading will include members from the represented presses reading from published works. Our second reading will be spoken word and will include members of Buffalo’s 2017 National Poetry Slam Team. Beer and craft cocktails specials will be available from Lakeward Spirits. 10 beers available on tap. Created and Organized by the co-creator of There Will Be No Haikus Here, Comics vs Poets, and curator of Poets Storm Nietzsche’s: Benjamin Brindise.